My quadruplets turned 7 this week and they’re super excited to be having a birthday party at Chuck E. Cheese this evening. I used to love going there as a kid but it was always for the fun and games, the pizza was never very good. Well they’ve changed their recipe in recent years and the pizza is really very good now so I’m looking forward to having that for dinner. That’s our plan for tonight instead of our usual Friday date night dinner out. We usually check out the available coupons for our favorite local restaurants before deciding where we want to eat so we can save a few bucks, because we work hard to save where we can so we can spend where we want. 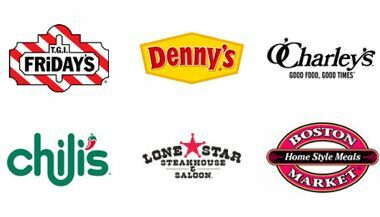 Check out our Restaurant Coupon Database here so you can find the best deals near you!